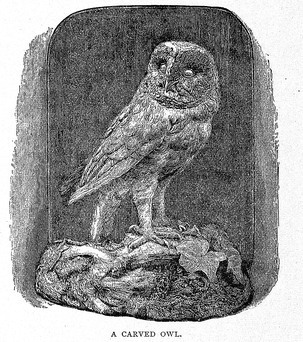 Black and white image of a carved owl by the talented artist Harrison Weir (1824-1906). It was one of the many wonderful bird images that were featured in the book Bird Tales circa 1889. This vintage owl picture can be downloaded and used where ever you like.